39a Burnt Ash Hill, Lee, London. SE12 0AE. 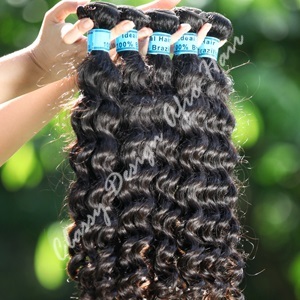 Brazilian body wave hair is 100% virgin human hair. It is available in lengths between 12 and 24 inches. Our Brazilian Virgin Body Wave Hair has natural shine and lustre, no potion treatments, and is suitable to be used in any style you like. As natural human hair, it can obviously be dyed. All of our hair is measured when stretched straight. The hair weighs 100g per pack. Guaranteed top quality: no shedding, no lice, no tangles. We offer a £5 discount for customers spending £100 or more when using Coupon hair1 at the checkout. 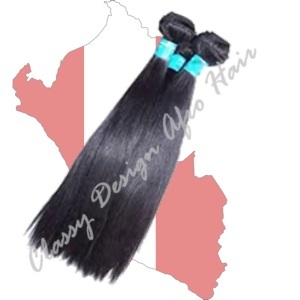 Brazilian deep weave hair is 100% virgin human hair. It is available in lengths between 12 and 24 inches. Our Brazilian deep weave hair has natural shine and lustre, no potion treatments, and is suitable to be used in any style you like. As natural human hair, it can obviously be dyed. All of our hair is measured when stretched straight. The hair weighs 100g per pack. Guaranteed top quality: no shedding, no lice, no tangles. We offer a £5 discount for customers spending £100 or more when using Coupon hair1 at the checkout. 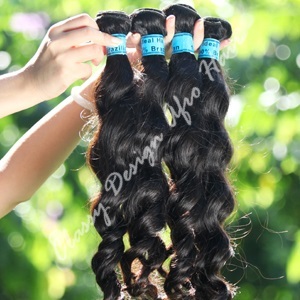 Brazilian loose weave hair is 100% virgin human hair. 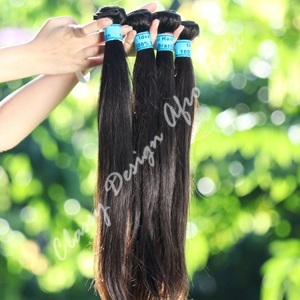 It is available in lengths between 12 and 24 inches. 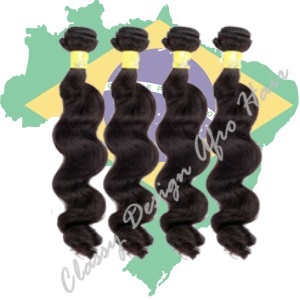 Brazilian loose weave hair has natural shine and lustre, no potion treatments, and is suitable to be used in any style you like. As natural human hair, it can obviously be dyed. All of our hair is measured when stretched straight. The hair weighs 100g per pack. Guaranteed top quality: no shedding, no lice, no tangles. We offer a £5 discount for customers spending £100 or more when using Coupon hair1 at the checkout. Brazilian straight hair is 100% virgin human hair. It is available in lengths between 12 and 24 inches. Our Brazilian loose weave hair has natural shine and lustre, no potion treatments, and is suitable to be used in any style you like. As natural human hair, it can obviously be dyed. All of our hair is measured when stretched straight. The hair weighs 100g per pack. Guaranteed top quality: no shedding, no lice, no tangles. We offer a £5 discount for customers spending £100 or more when using Coupon hair1 at the checkout.